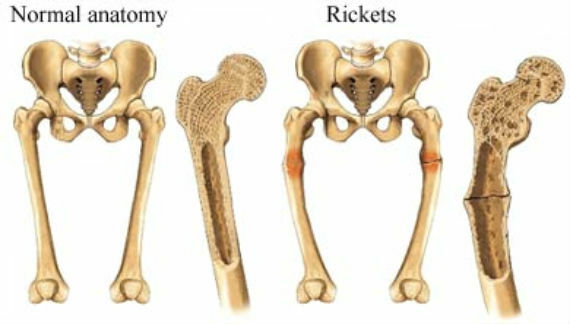 Fragile and soft bones in the human skeletal system is a sign of Osteomalacia disorder in adults and Rickets in children. Osteomalacia and Rickets occur when the mineralization of the skeleton is defective and inadequate. 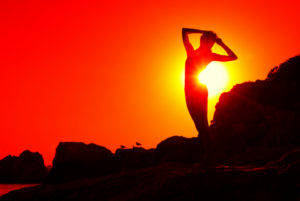 This generally develops when the amounts of Vitamin D are insufficient in the diet or more often because of the body’s inability to absorb and metabolize Vitamin D, which is an important ingredient that helps in the absorption of calcium, and which is also needed for the bones and teeth to stay strong and healthy. Deficiency of calcium and phosphorous is also a reason for Osteomalacia or Rickets. In children, Rickets is easily detectable as the disorder tends to cause pronounced skeletal deformities. In adults Osteomalacia is difficult to diagnose as it is difficult to differentiate it from osteoporosis. In some people who have soft bones due to the deficiency of Vitamin D, repeated pressure on these bones may cause fractures or minor deformities. There are several reasons (as detailed below) why, Osteomalacia and Rickets disorders happen. Intake of adequate amounts of fortified, dietary Vitamin D, (such as mushrooms, dairy products -milk, curd / yoghurt and cheese, oil and fat laden fish, egg yolks, soy milk, fortified cereals, and cod liver oil) and from naturally available sunlight, will help prevent deficiency of Vitamin D.
Osteomalacia caused by Vitamin D deficiency can be cured generally in 6 months. Rickets can be arrested in children, though the deformities will be permanent. Rickets is very common in underdeveloped countries. Thanks you for such a nice information of Vitamin D rickets. vey interesting and informative article! thanks for sharing this..
Next PostNext Is your child getting hyperactive due to eating sweet goodies?